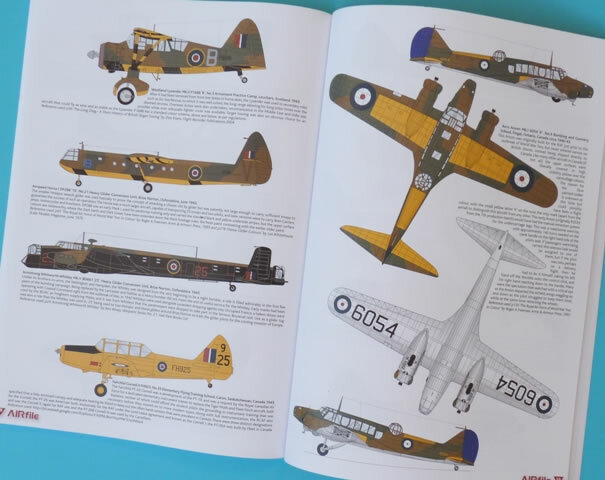 Interesting collection of aircraft; very informative captions; prolific number of colour profiles; large A4 format. This publication presents an assorted assembly of aircraft that found themselves in the training role from 1918 to the end of World War 2. The collection consists of ex frontline machines and purpose built trainers. The illustrations are all based on photographs and the sources of each is quoted in the informative captions. 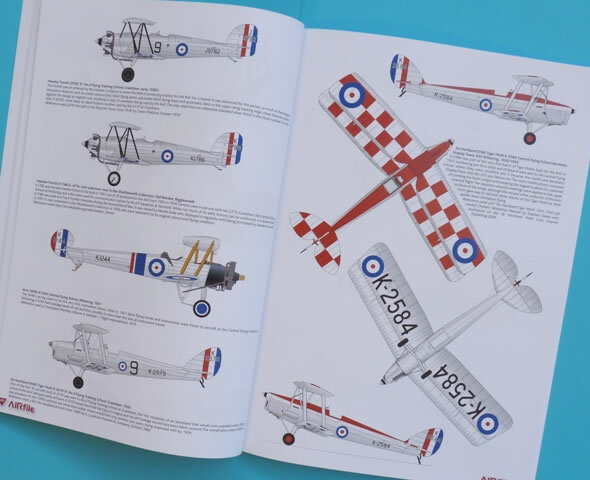 As such it’s an excellent resource for those wishing to build an assortment of these unarmed and often unusual aircraft. Training aircraft don’t see as much of the limelight as their frontline brethren. As a result there aren’t as many books written on the subject. So it’s refreshing to see a publication such as this, which is the first of a series on these machines. 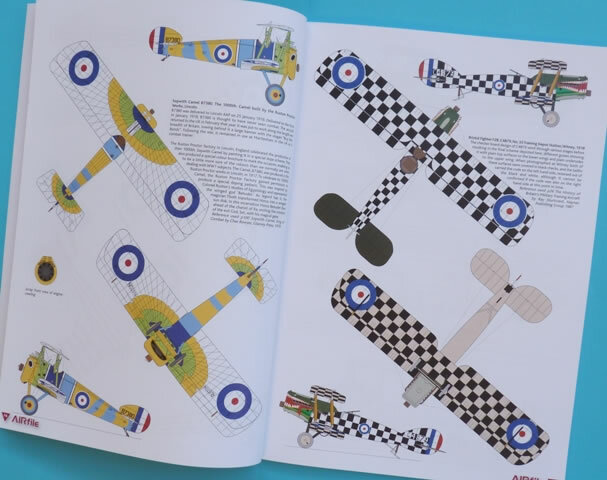 The aim is to portray the diverse range of aircraft involved as well as the incredible colour schemes that some of them wore. Inside the soft card covers are 72 A4 sized pages. The large format is ideal for this type of publication because it allows the artwork to be displayed to its full potential. Speaking of the colour profiles, there are 149 in total. We start in 1918 where some of the most flamboyant livery was seen. This artistry was realized on such machines as the Sopwith Camel, Pup, Avro 504k, Bristol F2B and M.1C. Other featured aircraft from this era are the SE5a, Vickers Vimy, Airco DH9A and Sopwith Snipe. Silver dope became the norm into the later 20s and 30s and this also saw a new range of aircraft being used in the instructional role. Amongst these were the Avro Tutor, Bristol Bulldog, Armstrong Whitworth Siskin, Gloster Grebe, Fairy IIID, Saro Cloud A.29 and Hawker Tomtit two seaters. Importantly, all of the artwork is based on photographic evidence. And if you want further information on any profile in the book, the authors tell you where to find it…even down to the page number. Rounding out the publication are the dark green, dark earth and yellow schemes that were seen as WWII loomed ever closer. A sample of aircraft wearing these colours were the Airspeed Oxford, Miles Master, Hawker Audax, Blackburn B-2, Fairy Battle Trainer, and Northrop A-17A Nomad. There are plenty of other interesting types included but I’ll leave those surprises to the purchaser. 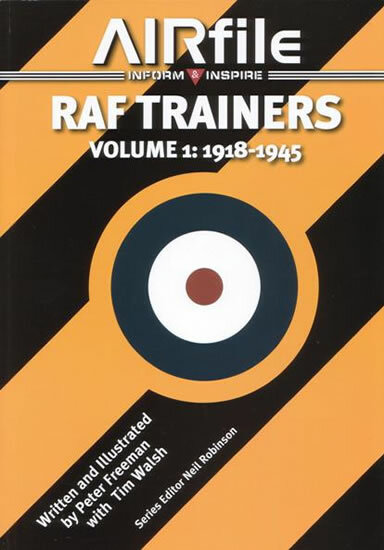 So whether you are a modeller, enthusiast, or just a curious bystander, this book will provide the reader with a good representation of RAF Training Aircraft from 1918 until the end of WWII.